Employee to employer – Are you a Maid going on your own to start a cleaning business? The House Cleaning Guru, Angela Brown covers some tips to avoid a lawsuit. Learn ways to prevent competing with your current employer. Avoid breaking a non-compete clause, or employee theft, and leave with your previous employer’s blessing. It’s easy to want to appropriate clients who know you and treat you like family but the support from your current employer is worth far more if you’ll follow these strategies. Hi there, I’m Angela Brown, and this is Ask a House Cleaner. This is a show where you get to ask a housecleaning question and I get to help you find an answer. Now, today’s question comes from a housecleaner who has been working for a maid service. And for whatever reason, she’s decided she’s not happy there and she wants to spin out on her own and create her own house cleaning company. I love this question because it’s a very controversial subject. 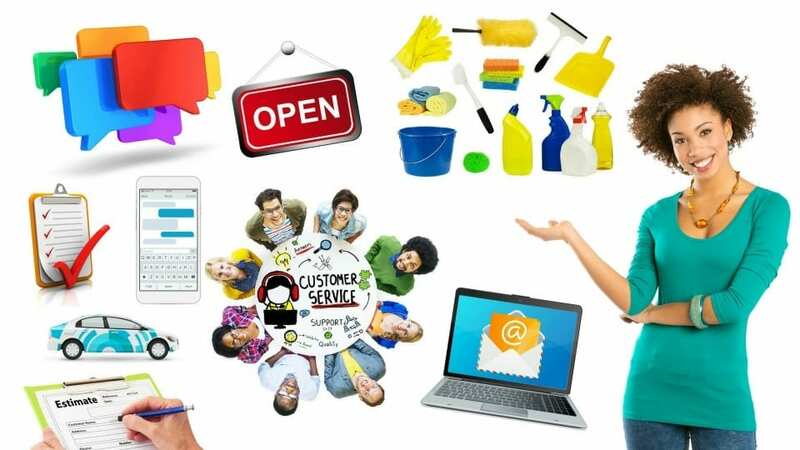 And it is true that in the housecleaning business there are a lot of house cleaners who will hire on to a company just to get training and to learn how to run a business with the intention, of spinning out on their own and starting their own house cleaning companies. So, the fact that this house cleaner is thinking in advance about how the employer might take it, is a really good sign. That’s a good business sign that she’s aware that it could cause problems. Now having said that, it’s probably going to cause problems. If someone has hired you and you are an employee, for you to quit your job and then compete with that particular employer it’s going to create some hard feelings. And so, now you’re walking on really thin ice. Okay? you could bust and fall directly through into the cold water. So, what you want to do right up front, and I have been in this scenario for 25 years. I’ve seen this happen time and time and time again. I’ve seen people that just left and quit, and they didn’t tell anybody in the hopes that no one would find out. But the employer’s do find out and then there’s a weird tension and there’s bad energy that goes on and there are bad, things that are said about each other. And now with the advent of social media, it can go viral and all these weird hate catfights that happen. Not good. Not good, okay? So, my recommendation to you is this. If you are grown-up enough to have a business, do you know what that entails? Do you know what it takes to run a business? Because if you’re just an employee and you’ve been showing up every day and someone else has been providing the accounts for you. And they’ve been providing the cleaning supplies for you, and they’ve been paying taxes for you, and they’ve been paying insurance for you, and they’ve been doing all the advertising and marketing for you. Do you really know what you’re getting involved in? It’s not that easy. There’s actually a whole entire business model behind running a business. And so it requires some business smarts and I’m not saying you can’t do it because maybe you can figure it out. Maybe there’s enough stuff on the internet, maybe you take a course or whatever to learn how to run your own business. But running a business is very different than just showing up to clean houses when someone else is running the business. So if you’re smart enough to run the business you need to be smart enough to deal with all the different little nuances there are about to hit you next. Here’s what’s going to happen, when you go to your employer and you tell your employer that you’re quitting, if you are in fact a really good house cleaner, that’s going to throw them into a tizzy because now they have to replace you. They’ve got to go out to the recruiting process. And they’ve got to find somebody they know, like, and trust, that they can bring in. They’ve got to train that person and get that person up to speed. So, whether you like it or not, you’re causing a bunch of problems for your current employer. Now how do you do that with their blessing? 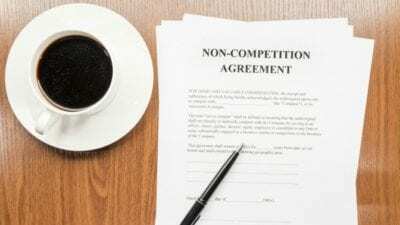 What you have to do second of all, is a look at your non-compete clause. Because if you signed a non-compete clause the next thing is, you want to make sure you honor that. Because you don’t want to end up in small claims court for breaking a contract that you signed, right as you’re about to get started in the new business, right? There’s no quicker way to advance you into business life than with a lawsuit. “Hi, welcome to business. Boom! Here’s a lawsuit.” You don’t want that right? So, don’t do that. You don’t want to, (and let me recommend you do not do this) You do not want to steal customers from your current employer. That may be true. But these customers don’t belong to you. And if you’re grown up enough to start your own business, be grown up enough to go out and get your own customers. Don’t take the customers from your current employer. There’s no quicker way to build bad will then to steal the customers you worked for when you were an employee. That is bad, bad, bad, bad. Don’t do that, trust me don’t do that. The next thing that you want to do because you’re a grown-up, you’re going to go to your current employer and you’re going, to be honest, and you’re going to tell them exactly what’s going on. You going to say “Hey Marty, I’ve been working for you for 4 years. I gave you my heart and soul for 4 years. You provided me a great income to help me pay for my kid’s college education. And you helped me raise my family and it paid for my car and all the other things that this job provided for me. I really appreciate you hiring me. I love my time here, and as I mature through my business I’ve discovered it’s time for me to go out on my own and start my own house cleaning company. But I didn’t want to go behind your back and I didn’t want you to find out through the grapevine. So, I wanted to be mature enough just come right to you, just say it right to your face, I hate to leave. But because I’m entrepreneurial, because I have the spirit inside of me that sending me on my way, I got to go do this. I got to do this for me and I wanted to come to you first. Now, you’ve put Marty in a bad spot. (And I just say his name is Marty his name can be whatever. Her name could be whatever.) You put him in a weird spot because he’s about to have to replace you, hire somebody, go through all the training, all that stuff, but now he knows. Now he knows exactly what your intentions are. “No, that’s okay I’m going 20 miles down the road, and I won’t interfere with any of your customer base here. I will never go back to any of the customers or clients that we’ve ever had. Okay. Well, if you’re not competing directly with him he has nothing to lose, right? You’re going to go anyway. Whether you go get a job as a waiter at a restaurant or whether you go start your own house cleaning company, it doesn’t matter to him because you don’t work for him anymore. Right? At the least he or she can do is to write you a letter of recommendation. Alright! Here’s what just happened. You’re leaving, going out on your own, and now as you’re starting your own business yeah, you have a lot of experience because you worked for another company. But guess what? “Here’s a letter of recommendation that came from the person I just left their company. Now, if you work in an adjacent area, let’s say that you work the next zip code over and this doesn’t interfere with the territory of the current employer. If they have business referrals that come in that they don’t serve, they can spin that business towards you. So, instead of creating this weird energy that’s chaotic, and “I hope he doesn’t find out, you know I hope they’re not mad, and all these things” go with their blessing. Go with their blessing. And when they have too much business they’re going to send it to you. They’re going to send you their overflow referrals. And you’re going to stay in touch with them, I’d say every 3 months. Pick up the phone call them back. Say “Hey Marty, it’s Angela I just wanted to touch bases and see how things are going over there. Did you find a new replacement for me? Guess what? By following up with them you stay in the front of their mind. Yeah, they’re sad you left. Yeah, it was a huge inconvenience because they had to replace you. But, in the event, you get out on your own and you decide for whatever reason that you’re not a good business person. And you can’t find clients, and you don’t like paying your own taxes and you don’t like paying for advertising and marketing and all the stuff that comes along with being a business owner. So now you’ve left that doorway open. In the event that you ever have to come back through it. So, if you’re just starting out on your own, and you have no idea what you’re doing, that’s fine, don’t beat yourself up over it. But don’t beat yourself up by doing the wrong thing on the way out the door and steal the employer’s customers. And trying to be sneaky, and trying to not let them know. That is totally going to backfire on you. Everybody Talks – Will the Rumors Expose or Promote You? 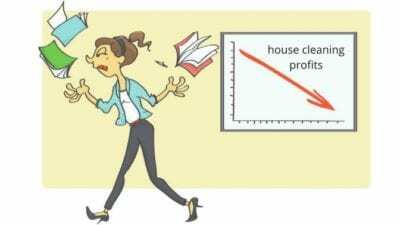 Do you realize that the housecleaning industry is a very small industry? It’s a huge business, but it’s a very small industry, everybody knows everybody. And everybody talks. And now we have social media where talking is so much easier. With a simple text, you can text everybody that you know. With the blast emails, you can blast everybody that you know. So, don’t screw this up on the way out the door. If you have to go out on your own, go out with your current employer’s blessing. And I tell you what that is going to be the best for them and for you. Alright, that’s my tip for today. If you found it helpful, please leave a note in the review section below. 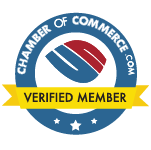 You can also ask house cleaning questions there, and let us know what you’re working on in your cleaning business. And until we meet again, leave the world a cleaner place than when you found it.